Hello all! 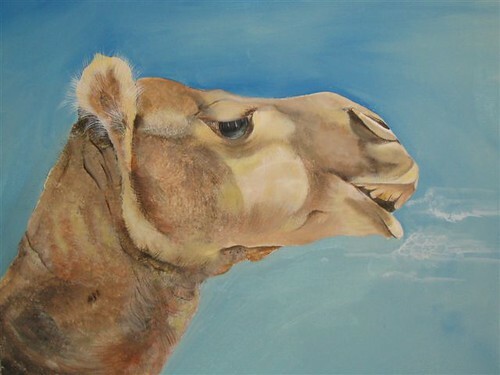 I am sorry I haven’t updated for a while but I have been very busy painting camels and I haven’t had much time for anything else. I thought I should let you know that I will be away teaching in Victoria for 12 days. I leave on Wednesday June 4 and return Monday June 16 2008. Originally, I was travelling to Victoria for the Avoca Camel Cup because that is where my camel exhibition was to be held. 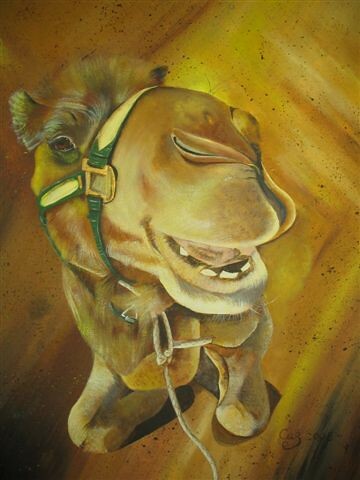 However, I received a phone call on Saturday saying that the Camel Cup had been cancelled. I was very disappointed at first, of course - disappointed for myself but very disappointed for the people that were involved in the organisation of it all as I know how much work has been put in to it. But I have always been a believer in one door closing and another one opening and by the looks of things that is what has happened. I won’t say much more about it at until things are definite but, as they say: “watch this space”. 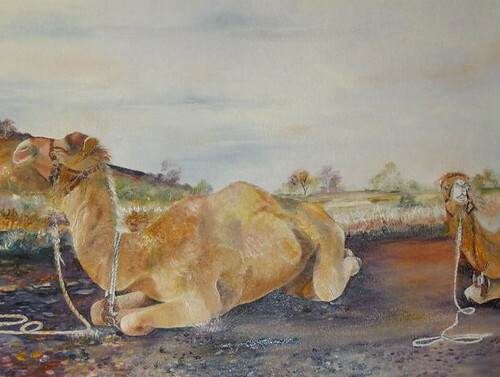 In the meantime, I will be displaying a few of the camel paintings here so you can see some of my hard work. They are for sale if anybody is interested. Where:Gone Barney, Rosewood, on the way to Tumbarumba. More pics of camels. 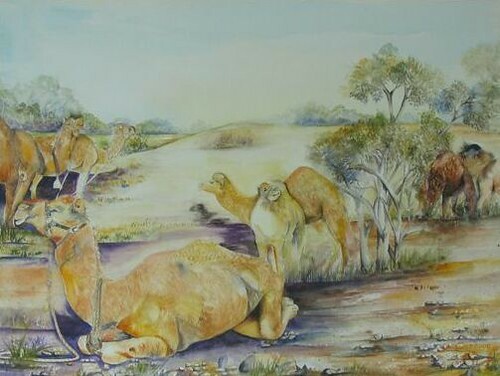 The reason for my seeming obsession with camels at the moment is that I’m exhibiting at the Avoca Camel Cup Country Wool & Wine Festival on Sunday, 8th June. A new painting I have been working on. It isn’t finished yet - it’s still a work in progress. 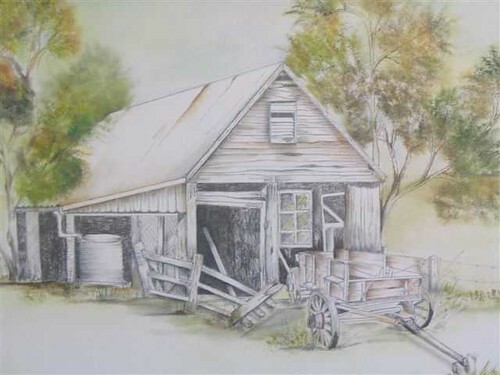 This is just a quick post to show you the Hay Shed.